Better Pizza in 5 Easy Steps! Some people think pizza is pizza. You roll dough out, put sauce on and then a few toppings and you’re done. But others have figured out the secrets behind a truly great pizza. I would like to think I am one of those who have figured out the secrets to a great pizza, and after more than 20 years of testing and experience, I would hope I learned something! 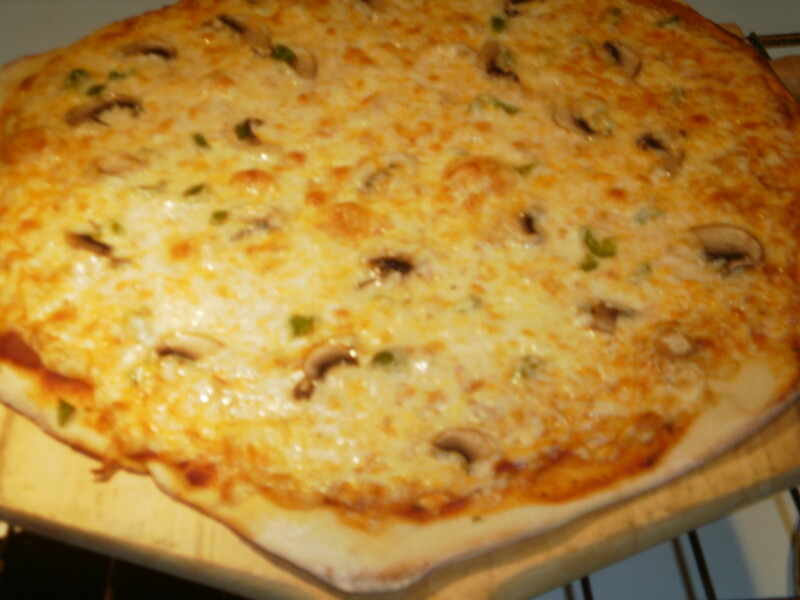 So I want to share today how to make better homemade pizza, which will rival any restaurant. I am organizing this into five, easy to follow steps that will guide you to better pizza. 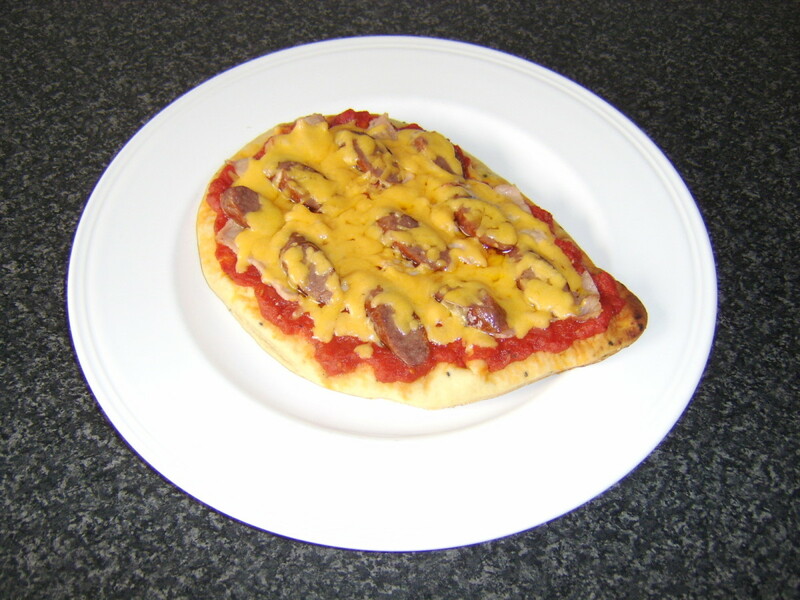 I am not including in this article how to make pizza dough, or any of the other ingredients, because that can be found in many other places online. While the dough is really the first step, the spreading of sauce is usually the first mistake. When spreading pizza sauce on the dough, use only enough to barely cover the dough. You should be able to clearly see the dough through the coat of sauce. Often a few small spoonfuls is more than enough for a large pizza. The mistake many people make is putting too much sauce on the pizza, which will cause the toppings to slide off of the pizza when trying to eat it. Next, toss on a hefty layer of cheese. Don’t go light on cheese. This is often the second mistake many pizza makers make. This layer of cheese right next to the dough and thin layer of sauce helps make the pizza stick together so it won’t slide apart. The layer of cheese should come right up to the crust, the closer the better. Mozzarella is the preferred pizza cheese, however a blend of Italian cheeses is fine, or even a variety of other cheeses will work such as cheddar, Colby Jack, or Peperjack. There is no requirement that you use only one type of cheese, so have try different options. Now it is time for some fun. A crucial mistake is to not put enough toppings on your pizza. There are no rules for pizza toppings, no one is forcing you to put only 2 toppings on your pizza, so look around and choose what you like and would want for your pizza. For example, try cooking up a chopped onion with garlic, green peppers, and sausage and throw that on the pizza, then add pepperonis, mushrooms and corn and see where that takes you. If there are certain toppings you don’t like, then exclude them. The key is to put everything you do like, onto the pizza. 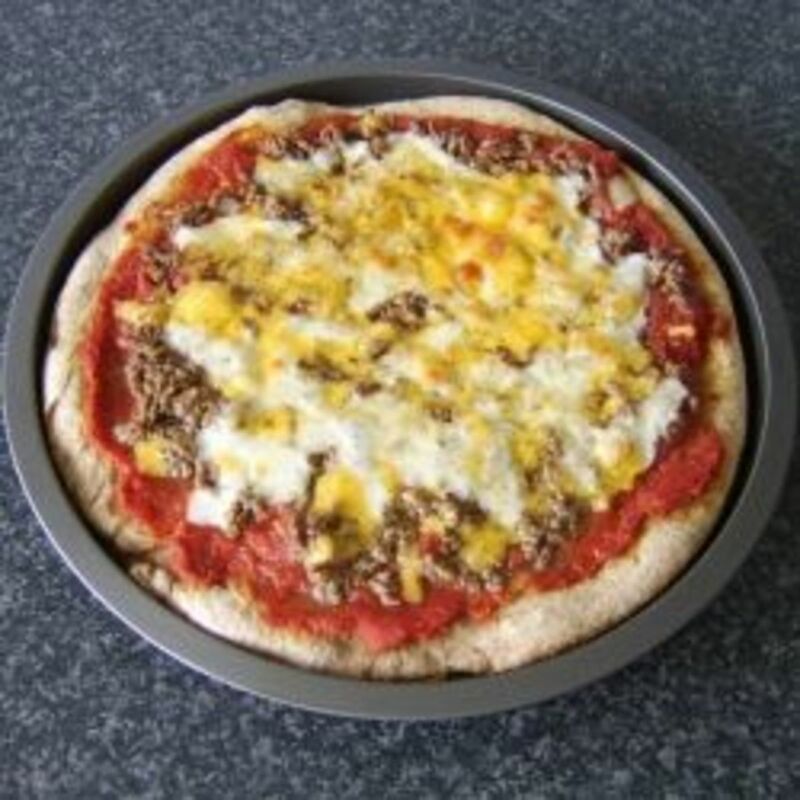 You can also make a half and half pizza, with some ingredients on one half and different toppings on the other. This is good for groups of people with very picky pallets. As with the previous layer of cheese, don't skimp on the toppings. This is the 'meat' of the pizza, so put plenty of meat on it! I am a firm believer that it is almost impossible to have too much cheese on a pizza. So after you have piled on all your favorite toppings, put on a thick layer of cheese to cover it up. This layer will melt in between the toppings and help secure it all in place. It will also taste delicious. I am amazed how many mediocre pizzas could be made better by a generous addition of cheese. Pizza is, after all, bread, cheese and toppings. So don’t go light on the cheese. At this time you might also want to artistically arrange pepperonis or any other toppings on top of the cheese, to highlight that topping. Now it is time to cook the pizza until done all the way through. This can be slightly challenging with the extra toppings, but with a good oven and thick crust, you should be fine. Ensure the cheese is lightly crispy before taking the pizza out of the oven. If you prefer a crispier crust, then cook longer. While you enjoy a slice of pizza piled high with plenty of cheese and all of your favorite toppings, reflect on any slight changes you might make next time. Perhaps sausage, pepperonis and ham next time? Or include more vegetables? And, of course add more cheese. 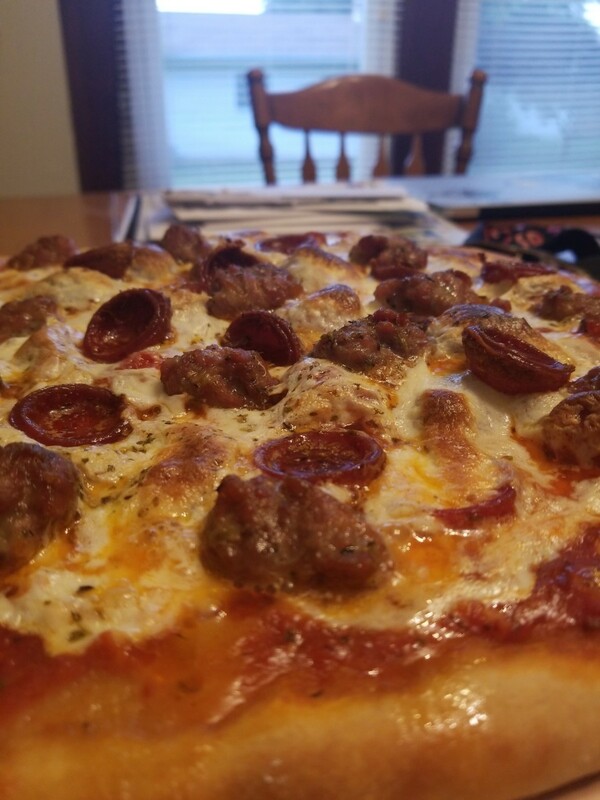 I hope you enjoyed reading this, and that you have a few new ideas for making a better pizza. There is no need for us to live in a world filled with mediocre pizza, so do your part, and start enjoying better homemade pizza today! FSlovenec - Thanks for your comment! Just made some pizza the other day with lots of cheese (over a pound!) and onions, green peppers, sausage, pepperoni and some other stuff. It turned out fantastic. My mouth began to water on step to and was full on by the end..Great HUB..I totally agree! PaoloJpm - thanks for your comment! 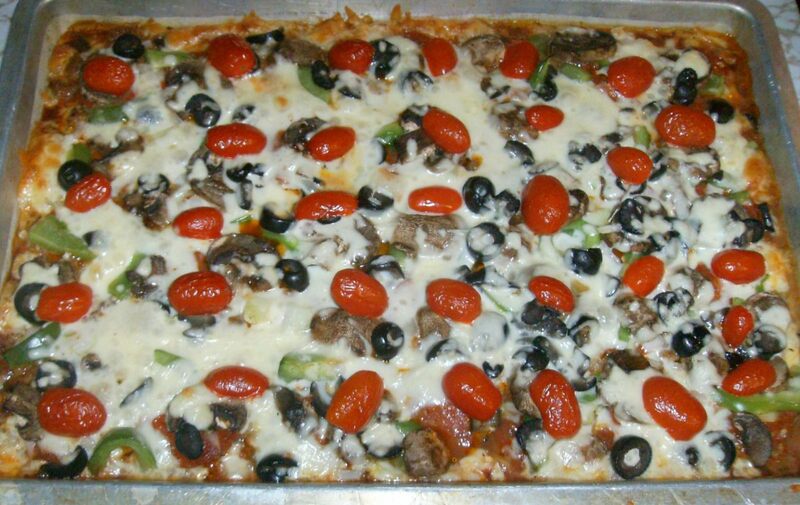 I love pizza with lots of cheese and toppings too! 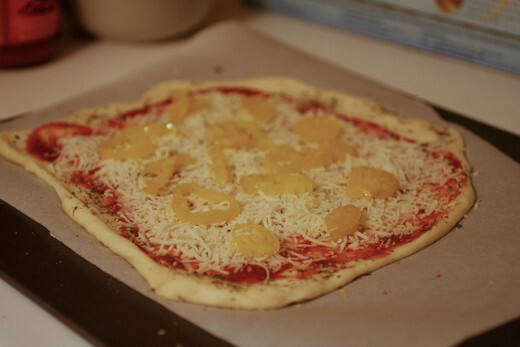 This is so great, I've always wanted to do a homemade pizza. I love pizza really good cheesy, meaty pizza. 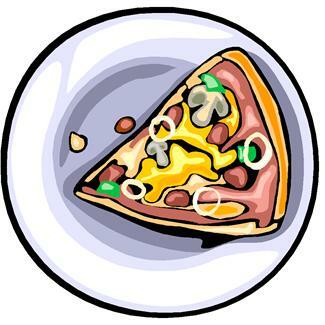 GetitScene - what a great opportunity to get some new ideas for making pizza! Thanks for your comment! Great tips. Homemade pizza is always better. My wife and I are going to Venice in a few months so I'll get to taste pizza the way the Italians make it! ryanjhoe - glad you found this interesting! I love making (and eating) pizza too. Thanks for the tips! I love pizza and this is an interesting tips to make homemade pizza. I would love to try it! Thanks for sharing! Because it is not homemade! You got to make it yourself to get it right. I suggest using only a small amount of sauce, so that the cheese can stick to the crust better. ChrisMcDade8 - Pizza is one of my favorites as well and I love a delicious slice with tons of cheese and toppings. Thanks for dropping by! Your hub is very helpful with some great tips. Pizza is my favorite and this hub makes me hungry! Voted up! James - Thanks! It makes me happy to find a fellow pizza maker! I love putting tons of cheese and toppings on my homemade pizzas and can't understand why people eat anything less! I love making my own pizza, and right now, your HUB is now my FAVORITE of the week. teaches12345 - You are quite adventurous for having tried almost all of the toppings! I was introduced to corn as a topping while living in Japan, where it is very common. Thanks for your comment! Now I am hungry for pizza. Great topping suggestions, I have tried all of them except for corn. Thanks for sharing your ideas on making a better pizza. breakfastpop - Couldn't agree more! Thanks for dropping by! Pizza done right is food for he Gods! kashmir56 - Thanks! 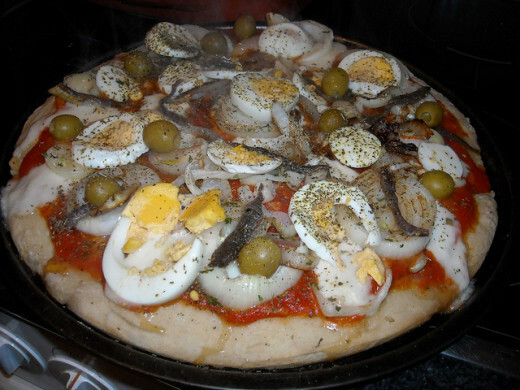 I do love my pizza with everything on it! 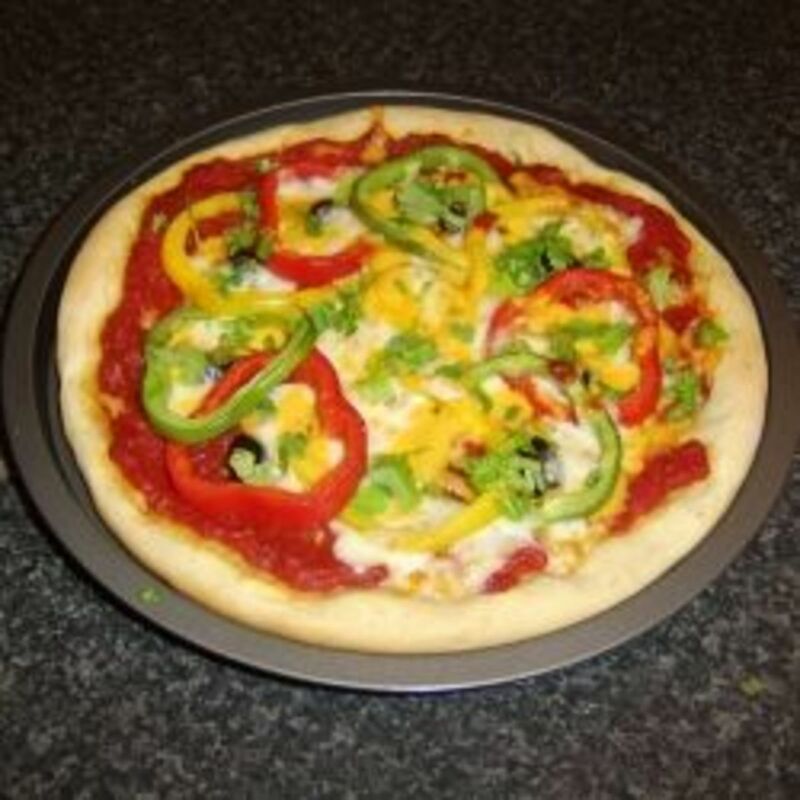 Great recipe for a better homemade pizza and also like all your topping ideas !